Our Bulletins are only written in French, we are sorry. 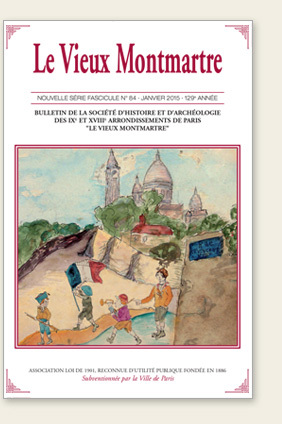 Since 1886, Le Vieux Montmartre regularly publishes Bulletins in which are reproduced literary, artistic, scientific and administrative works. Articles, learned or anecdotic, each revealing what constitutes the history of the Butte in all its diversity. Their digitalization and presence online on Gallica, the internet of the BNF, from now on permits across the world the discovery of the richness of this collection constructed during 130 years. 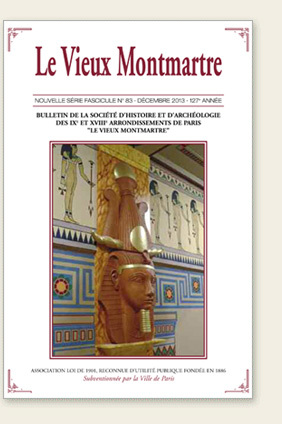 Some older editions of the Bulletin are available for acquisition !